Tennessee is a state that is packed to the brim with culture and beauty. Nashville, the state capital, is affectionately known as “Music City” for the rich country music culture founded there. Along with the music scene, the state is also filled with museums and entertainment galore. One of the things about Tennessee that makes it so appealing to RVers, in particular, is the natural beauty in the form of vast state parks. These are just some of the things Tennessee has to offer. In this article, we’re going to delve into some of the best in the state. If you’re planning on heading to Tennessee in any upcoming RV road trips, read on to find out some interesting spots you may want to check out. We’ll start the list off with something that’s not for the faint of heart- or at least not for those with a fear of heights! This open-air chairlift ride heads across the top of Crockett Mountain up to a 1,800 ft. overlook – allowing for stunning views of the Smoky Mountains. 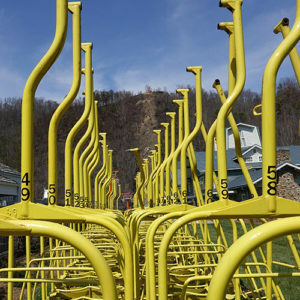 Installation of a brand new chairlift was just recently completed, so you’ll feel safe and secure on your scenic tour of the mountain. Who knows, once you see the stunning mountain views, you might be up to braving the heights again and again! Price: $16 for adults, $13 for kids. Unlimited for $18 and $14, respectively. Discounts for the military. Less than 10 minutes from the Sky Lift is Twin Creek RV Resort. This park offers everything you could possibly need- including free WiFi, on-site car and jeep rentals, pool, and even a jacuzzi! Rates start at $66 per night. Of course, there are plenty of options for campsites in the Gatlinburg area, so if you’re looking for something to fit your specific needs, you can check out some of the other great RV parks in Tennessee. No family vacation is complete without a trip to the zoo, and the Memphis Zoo is the perfect way to round out an unforgettable trip. 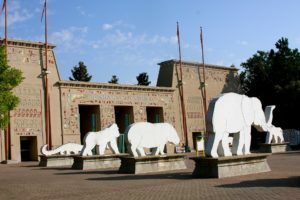 This famous zoological park is home to over 500 species, with a total of over 4,500 animals! You can learn about species you may have never even heard of before, like the nyala, or experience some common favorite species, like the panda, in person for the first time. In fact, the Memphis Zoo is one of only four zoos in the United States to house Giant Pandas! Memphis Zoo features some truly unique animal exhibits. Explore the African Veldt which houses African elephants, bongos, zebras, and more. Get a closer look at animals you may already be familiar with at the “Once Upon a Farm” exhibit. Little ones will particularly enjoy the more hands-on exhibits, such as Stingray Bay, Giraffe Feeding Adventure, and Camel Excursion. Depending on when you visit, you may be able to take advantage of one of the many zoo events as well! Memphis Zoo. This peaceful park offers all the comforts expected of a top RV park and is located within walking distance of a farmers market. Nightly rates start as low as $35, and seniors receive a discount. And when you’re not admiring the animals at the zoo, you can spend time with the animals that are part of your family, as Agricenter RV Park is pet-friendly! Tennessee is a great place to take unforgettable RV trips with your kids, and Dollywood’s Splash Country is a perfect example of why that is. This 35-acre waterpark is the epitome of summer fun. Countless slides and rides await you- just don’t be afraid to get soaked! As a bonus, Dollywood’s offers “Timesaver H2O” passes which allow guests to secure their spot on a ride without having to wait in a long line. Throughout the park, you’ll find a number of quality restaurants and concession stands – including summer favorites such as ice cream, sodas, slushies, and chocolate-covered frozen bananas. Bear Cove Village in Pigeon Forge is a scenic park complete with cable, WiFi, two pools, and a dog park. A mere four-minute drive assures that you can visit the water park with ease as often as your heart desires! You’ll also be located near the Great Smoky Mountain National Park, so you can enjoy both the attractions of Dollywood and the wondrous great outdoors. And with nightly rates as low as $28, this park is a steal! 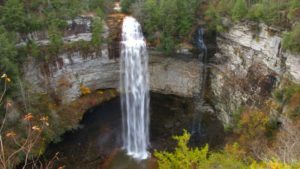 When campers are looking for a Tennessee state park to add to their RV trip itinerary, Fall Creek Falls is usually the go-to spot. With over 26,000 acres across the Cumberland Plateau, it’s the largest state park in Tennessee. It’s jam-packed with stunning natural beauty. Waterfalls, streams, cascades, and lush forests are plenty. The park gets its name from it’s most popular attraction- one of the tallest waterfalls in the eastern United States, Fall Creek Falls, standing at 256 feet! Guests of all ages and interests will find something to love at this park. Hiking trails of all difficulties are available; there are even two overnight trails for those with a little extra adventurous spirit! Speaking of adventure, why not try out the ArborTrek treetop obstacle course? This aerial course features a variety of obstacles to test your skills- including wobbly bridges, rope swings, balance beams, cargo nets, and more! Of course, if you’re not in an adventurous mood, there’s plenty for you as well. Just one of the fun things available is an 18-hole golf course, and there’s a lot more where that came from! You don’t have to travel far to find a great camping spot- in fact, you can stay right in the park! Rates range from $13.75-$31.25, depending on what you’re looking for. It’s the perfect way to get the most out of all that the park has to offer! At Graceland, you can explore the world of the “King of Rock and Roll”, Elvis Presley. The King himself lived in this mansion situated on 13.8 acres in Memphis. The estate opened for tours to the public on June 7th, 1982, and is still offering tours to this day. Along with the house itself, you can check out “Elvis Presley’s Memphis”, which lets you get a glimpse of the life that Elvis led, including his collection of airplanes and automobiles. There are a number of different tours available so you can choose exactly what fits your interests and your budget. Price: Tour prices start at $17. Discounts available for AAA, active and retired military, and college students. 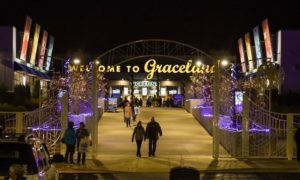 If you want the true rock’n’roll experience, what better place to stay than at Graceland itself? Graceland RV Park & Campground is a relaxing park located within walking distance of the Graceland estate. Rates vary depending on the season, so it’s best to call ahead. 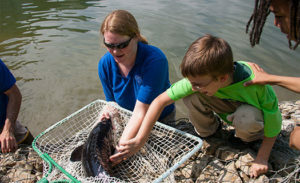 Another fantastic option for family-friendly Tennessee RV trip ideas is the Tennessee Aquarium. The two buildings that house the aquarium will take you on an unforgettable journey through the sea. Along with viewing the animals, you can take advantage of unique opportunities, such as the Sandhill Crane Cruises, “Sleep in the Deep”, and an IMAX theater. For a more up close and personal experience, you can purchase a backstage pass. This will give you VIP access to touch and feed some of the aquarium animals. Is there someone in your family who wants to work with animals someday? Show them what it takes to be an aquarium animal caretaker! Price: $29.95 for adults, $18.95 for kids ages 3-12, free for kids 3 and under. A 15-minute drive is all it takes to get to the Tennessee Aquarium from Raccoon Mountain. There is RV and Motorcoach parking available within a few blocks of the aquarium so you can drive straight from your campsite. This campground is home to adventures of its own as well – a cave system that’s open for touring. With RV sites starting at $35, you can get a whole lotta bang for your buck! When it comes to entertainment, The Island in Pigeon Forge certainly isn’t lacking. This family-friendly attraction is filled to the brim with dining, shopping, and fun. 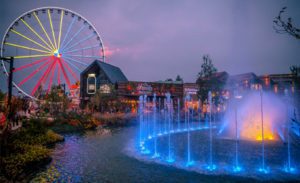 Whether you visit day or night, you can experience the wonders of The Island, including their famous multi-million dollar show fountain and the Great Smoky Mountain Wheel. Rides such as Lil Ribbits and the Island Express are perfect for little ones, while others can enjoy more exhilarating rides such as the Twist’N’Shout, where you can experience the feeling of a second story free fall! Rides aren’t all The Island has to offer though. Test your wits with The Escape Game, get lost in the Island Mirror Maze, or practice your aim with the shooting gallery. The dining options are superb as well! Price: Unlimited Rides Pass for $30. Pine Mountain RV Park made our list of the top 10 RV parks in Tennessee, and it just so happens to be a five-minute drive from The Island at Pigeon Forge. You can enjoy the fantastic amenities of this top quality park along with the unforgettable adventures waiting to be had on the Island! Now that’s what we call a fun-filled vacation! If there’s one thing that Tennessee is famous for, it’s gotta be country music. 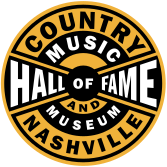 With that said, how could you make one of the best RV trips in Tennessee without visiting the Country Music Hall of Fame? Guests can travel back in time and explore the origins of country music, learning about many of the pioneers of the genre. Visit Nashville’s oldest standing recording studio, where celebrities like Elvis Presley, Dolly Parton, and Waylon Jennings recorded. If you’re a fan of country music, visiting here is a must, and even if you’re not, you’re still guaranteed to have a good time! Price: Prices start at $14.95. Discounts are available for Military, AAA, and seniors. Two Rivers Campground in Nashville is about a 20-minute drive from the Country Music Hall of Fame. The park is close to all the attractions of Nashville and offers everything you might need to have a comfortable stay. Rates start at $42.62. If you’re looking for a wondrous sight, Ruby Falls is the place to go. This underground waterfall is 145 feet tall and is among the largest underground falls with public access. As an added bonus, along with your admission to Ruby Falls, you’ll have an unobstructed view over the Tennessee River Valley from the top of Lookout Mountain Tower, which is a 70+ foot tower modeled after the fifteenth-century Irish castle. 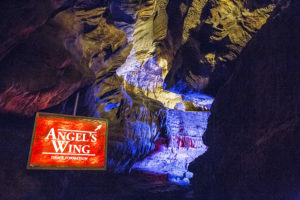 Guided tours of Ruby Falls have been available since as far back as the 1930’s, and the waterfall itself is estimated to be around 30 million years old. Experience a tour of the huge waterfall for yourself, and you’ll be sure to have a fantastic time. Best of all, you can visit any time of year, no matter the weather, and still enjoy a rain-free environment and comfortable temperature of 60 degrees Fahrenheit. With a rich history and picture worthy views, it’s a fantastic addition to anyone’s Tennessee RV vacations! Racoon Mountain in Chattanooga, which we mentioned earlier as a spot to stay for the Tennessee Aquarium, is fifteen minutes from Ruby Falls. That means this RV Park will allow you to hit up not one, but two places on our list! As mentioned before, rates start at $35. For added convenience, you can pick up great RV rentals in Tennessee, right near the park! We’ll finish off the list with an attraction that’s unique, historic, cultural, fun, and educational, all in one! The Parthenon in Tennessee is a full-scale replica of the original one in Athens, Greece. It stands in the center of Nashville’s most popular urban park, Centennial Park. It was originally built for Tennessee’s 1897 Centennial Exposition but now stands proudly as the centerpiece of this park. The wonders keep growing as you step inside the Parthenon, where it serves as an art museum. You can take in the beauty of pieces by 19th and 20th century American artists. 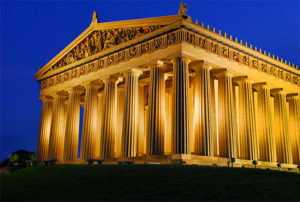 At the Parthenon, you can experience a little bit of Greece right in the heart of Nashville! Two Rivers Campground makes the list again, being less than a 30-minute drive from the Parthenon, and is close to the numerous shopping and dining experiences available in Nashville. Rates start at $42.62, and the campground provides convenient amenities such as free WiFi, free coffee, a swimming pool, and a camp store. After reading about some of the adventures Tennessee has in this RV trip planner, you may be itching to hit the road. And we don’t blame you! There’s something about Tennessee that makes everyone want to come back again and again – whether it be for the history lessons, the music culture, or just the exciting outdoor adventures. So go ahead and start planning your trip, and experience all that Tennessee has to offer for yourself!